Ennis Caravans of Cross Hands, Llanelli have recently taken delivery of a brand-new MAN TGE van purchased from WG Davies at Swansea. The recently launched MAN TGE has proved to be a great van for a multitude of customers, what with MAN’s well-known reputation for quality trucks; the new MAN TGE van is an ideal smaller offering that features all of MAN’s engineering excellence and attitude to reliability and style. the van really does stand out wherever it goes. 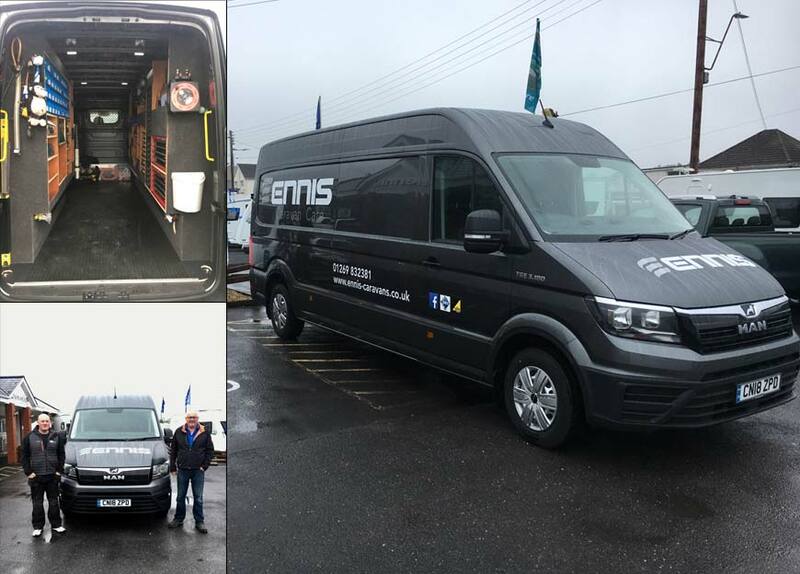 The van is fully kitted out inside to suit the Ennis family’s business needs. WG Davies, the local MAN dealership located throughout South Wales, are delighted to be working with Ennis Caravans, their business is much appreciated.